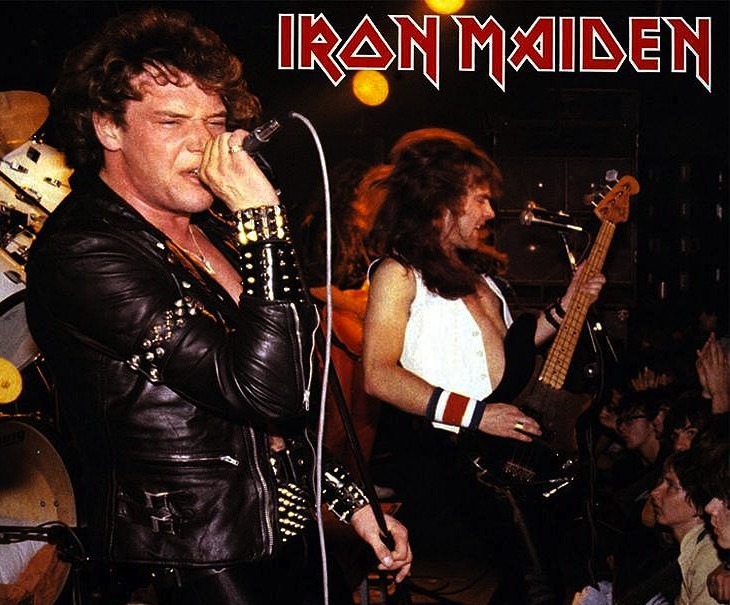 On October 26, 1981, New Wave of British Heavy Metal standard bearers Iron Maiden performed their first concert with new lead singer, Bruce Dickinson at the Palasport of Bologna, Italy— a daring personnel change for a band that was already enjoying great success with two fine albums recorded behind well-liked frontman Paul Di’Anno. And, regardless of that happy outcome, the stark reality was that, for band leader, chief songwriter, and bass player Steve Harris, the situation with Di’Anno had basically become untenable, regardless of Paul’s worthy contributions to the cause up to that point in time. Indeed, since 1978 Di’Anno’s gruff melodic vocals and even gruffer bad boy charisma had capably shepherded Harris’ musical vision — from the self-recorded ‘Soundhouse Tapes’ to the major label release of 1980’s ‘Iron Maiden’ and ’81’s sophomore effort ‘Killers’ — but the grueling tours and punishing press tasks that ensued had steadily taken a toll on the fun-loving singer’s mood. To Di’Anno, Iron Maiden now seemed more like a tightly run corporation than a rock and roll band, and he would later mince no words in comparing Harris and Iron Maiden’s ambitious manager, Rod Smallwood, to Adolf Hitler and Benito Mussolini, based on the ruthless, military precision with which they ran the ship. Be that as it may, this was Harris’ band — always had been, always would be — so once the decision to dump Paul had been made, he and Smallwood applied that same businesslike discipline to identifying his replacement, who, as fate would have it, had already shared many stages with his future employers. 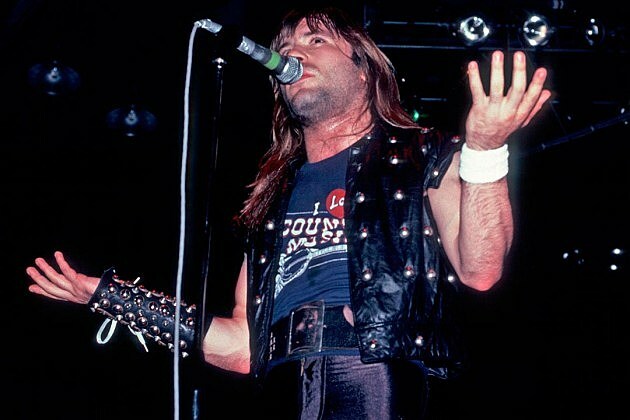 That replacement was of course Bruce Dickinson, who had been laboring with Iron Maiden’s New Wave of British Heavy Metal rivals, Samson (under the questionable stage name of Bruce Bruce!) since 1980, and had reportedly long secretly coveted Di’Anno’s job, along with the more professional ambitions that his present band clearly lacked. 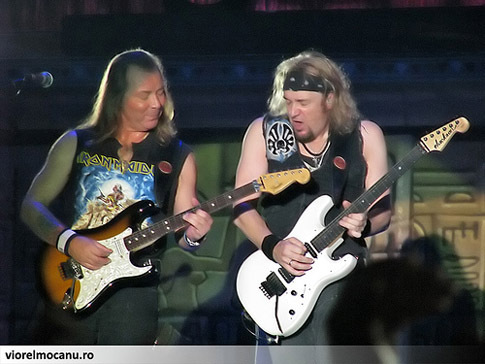 The band was called back for an amazing three encores that night (the last consisting of Montrose’s ‘I Got the Fire’) and, understandable nerves notwithstanding, it was abundantly clear to Harris, Dickinson, guitarists Dave Murray and Adrian Smith, and drummer Clive Burr, that everything was going to be just fine for Iron Maiden. And as the newly fortified quintet set off towards incredible new heights that are obviously well documented elsewhere, the musical marriage between Iron Maiden and Bruce Dickinson seemed all the more ideal and inevitable — as though it had been destined to be consecrated by the very gods of heavy metal from the dawn of time!